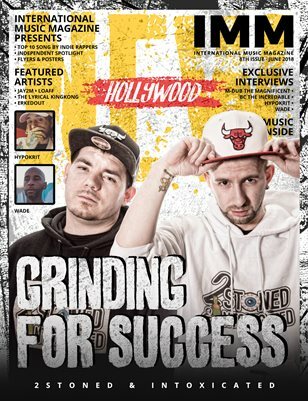 In this latest issue of the IMM we have featured rap group 2Stoned & Intoxicated on the front cover. Along with the following artists. Loaff, Jay2m, Dj Social, Wade, Hypokrit and more. This edition includes posters, Interviews and many amazing content for the readers to keep their selves busy for a whole month. It's a music treat packaged as a magazine.